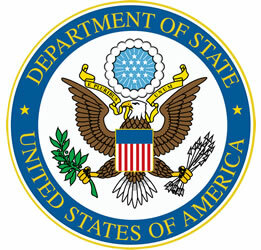 The IPNDV, through a unique public-private partnership between the U.S. Department of State and the Nuclear Threat Initiative, brings together more than 25 countries, including nuclear and non-nuclear weapon states. Representatives from the following have attended various activities of the partnership: Argentina, Australia, Belgium, Brazil, Canada, Chile, China*, the European Union, Finland, France, Germany, Holy See, Hungary, Indonesia, Italy, Japan, Jordan, Kazakhstan, Mexico, the Netherlands, Nigeria, Norway, Pakistan* the Philippines, Poland, Russian Federation*, South Korea, Sweden, Switzerland, Turkey, the United Arab Emirates, the United Kingdom, and the United States. NTI is a nonprofit and nongovernmental organization that works to prevent catastrophic attacks with weapons of mass destruction and disruption (WMDD)—nuclear, biological, radiological, chemical, and cyber.